Am I getting old? Or is this just bloody impossible to work out? But sometimes even humans cannot work them out! I have a terrible time with these things wherever they turn up. They are awful aren’t they. The subject of CAPTCHAs came up on QI the other evening and Stephen Fry mentioned that computers so far cannot tell the difference between photos of rabbits and photos of kittens, so an adequate CAPTCHA could simply say “click the rabbits” and computers would fail. I did once see a good CAPTCHA that asked you to put the images the right way round – each click would turn them 90 degrees. A great idea, as again, a computer / “spam bot” is not going to be able to work out which way is up, but a human can easily work it out. I am troubled by CAPTCHAs. I have great eyesight, reasonable intelligence, and a well-honed brain, by which I mean I’m forced to use what I have every day as part of my work. 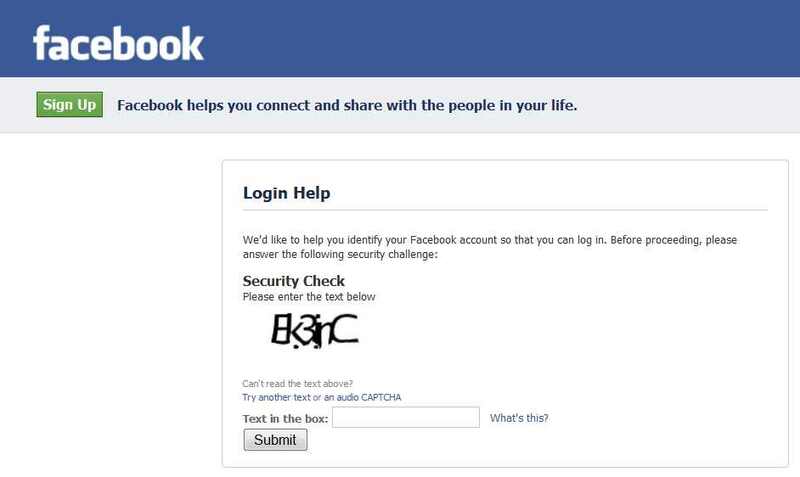 How do intelligent people who do the same thing, day in and day out, cope with these CAPTCHA things? My oldest friend has cerebral palsy, and is almost blind. He manages splendidly with glasses, and huge screens. What he doesn’t know about computers, both PCs and Macs, you can roll into a ball and balance on your thumbnail. I’ll have to ask him how he deals with these accursed things when his eyes barely work. I don’t know that Stephen Fry was right. If face recognition software is close on us, or with us now (depending on what one reads), how difficult can it be to distinguish between long ears and short ears? Though drawing a grouping of rabbits or kittens, snuggled together amongst some flowers could make it extremely difficult to distinguish how many animals there are using botware, when complicated by parts of the flowers made to look like the animals’ eyes. People should be able distinguish how many animals there are. The CAPTCHA question could be: How many kittens are there? It wouldn’t be difficult to design botware to read that a common object has a default right side up. Whether it’s a table or an elephant, feet go down. It’s a universal truth. Ask any three year-old. 🙂 If it’s an animal, eyes tend to go toward the top. I’m fairly certain it’s already been done. Pattern recognition and AI come to mind. Yeah, no doubt the bots will get better! I do find myself refreshing CAPTCHAs more these days – at least that is still an option! What is interesting there is that they say “A computer generates this text and its surprisingly easy for a computer to decipher it… Even after distortion“. I am trying to find it being used on a website though and failing! Although all the discussions about it are about 6 years old now …. Now Schneier’s the bomb! (Am I allowed to say that?) Been receiving his newsletter for yonks. Cute kitty. Interesting concept. Perhaps everyone’s out emptying litter boxes. Seriously, I looked and couldn’t find it in use either. Instead I mostly find Tangled-Text CAPTCHAs almost everywhere I go. Once or twice I have been unable to sign into sites, and have left. I don’t do Facebook BTW. I’m not comfortable with the extreme exposure of social networking. I have a Website on our own servers that is accessible with a password, which family and friends have. Facebook is fine for professional and commercial communication.